Baylor Scott & White Quality Alliance, the system’s accountable care organization, is the embodiment of population health. It is working to become a clinically integrated ACO that focuses on improving quality and reducing costs by effectively managing the care of its patient populations. 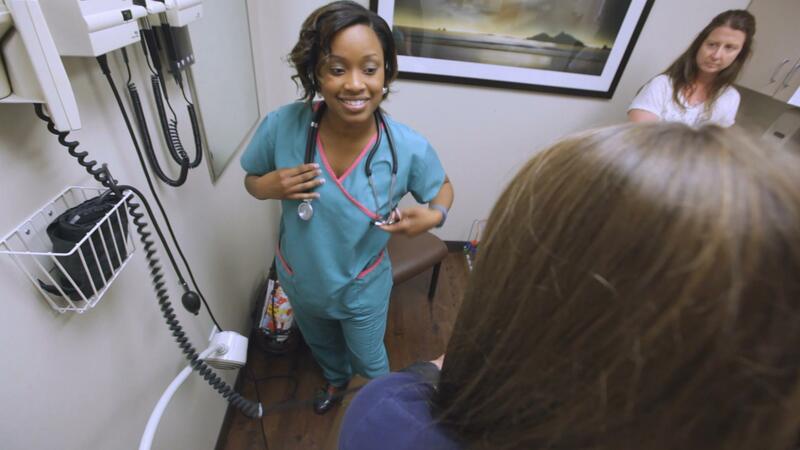 Baylor Scott & White Quality Alliance network includes more than 3,900 physicians, along with hospitals, post-acute care providers (such as home health agencies and skilled nursing facilities) and other members of the care continuum. With three key elements for implementing population health strategies in place—patient-centered medical homes (PCMH), care coordination and data analytics—Baylor Scott & White Quality Alliance has proven results for achieving the Institute of Medicine Triple Aim framework of better care, better health and better value. 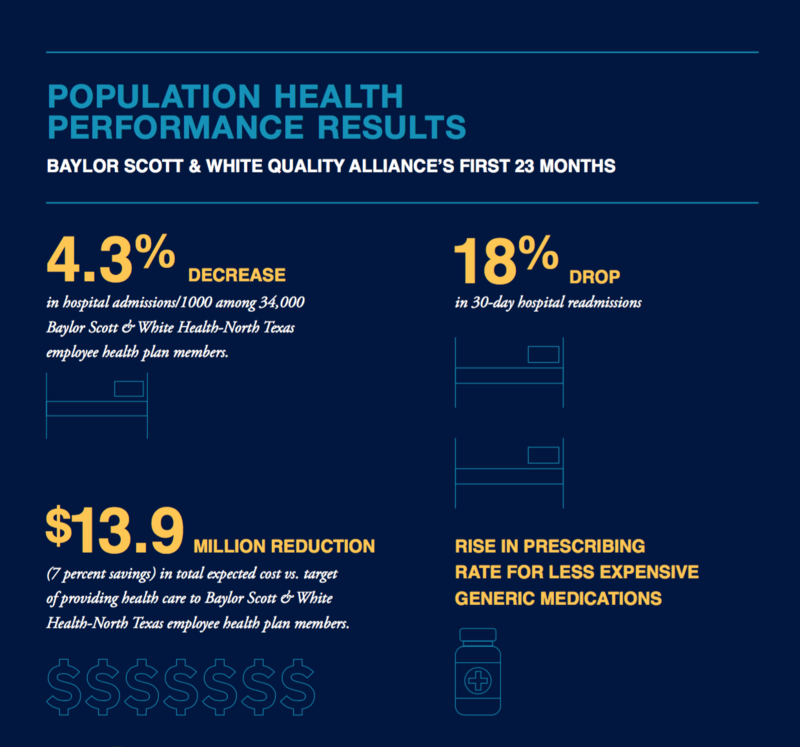 Baylor Scott & White Quality Alliance consistently measures physician performance in quality, efficiency, clinical outcomes, patient satisfaction and patient safety. Physicians are audited regularly and scored on how well they perform in managing chronic disease and delivering preventive care. The result: greater accountability and quality.